Had a great time at the Way Point Saloon last night. Didn’t feel much different from the Molly days. Most noticeable for me were the new (square) tables and chairs; tacky decorations on the walls; and a bit more ambient light.I ordered “The Road Hog”. 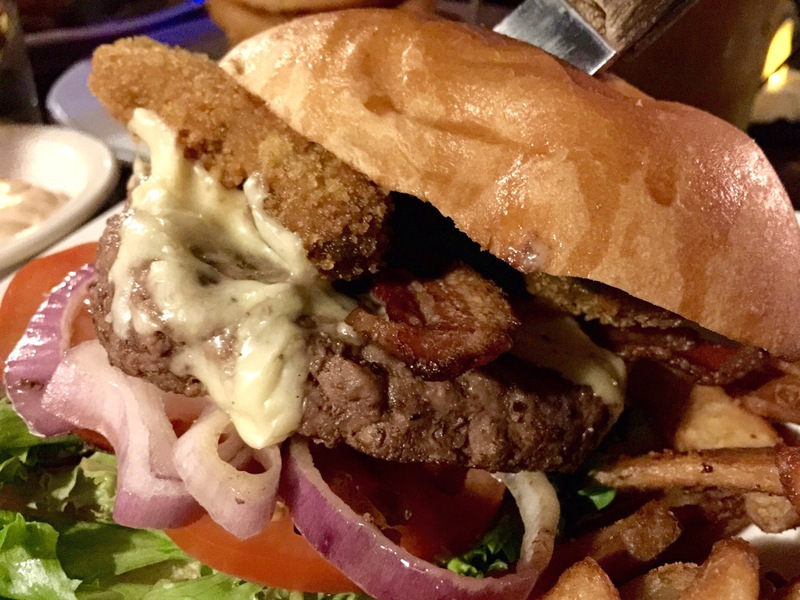 For $12.95 (with side) it’s made with avocado, jalapenos, bacon & swiss plus all the fixins. This thing was a beast! Really good, although I did feel like having to shower after eating it. Menu calls out “jalapenos” and I was expecting a spicy bite. It was actually breaded jalapeno poppers with no discernible heat. I think I would have just liked sliced jalapeno, either pickled or fresh. Chili has been stepping up their menu of late and it’s really good. I’d still rather go here than Applebee’s. Here’s their new Ancho Salmon! 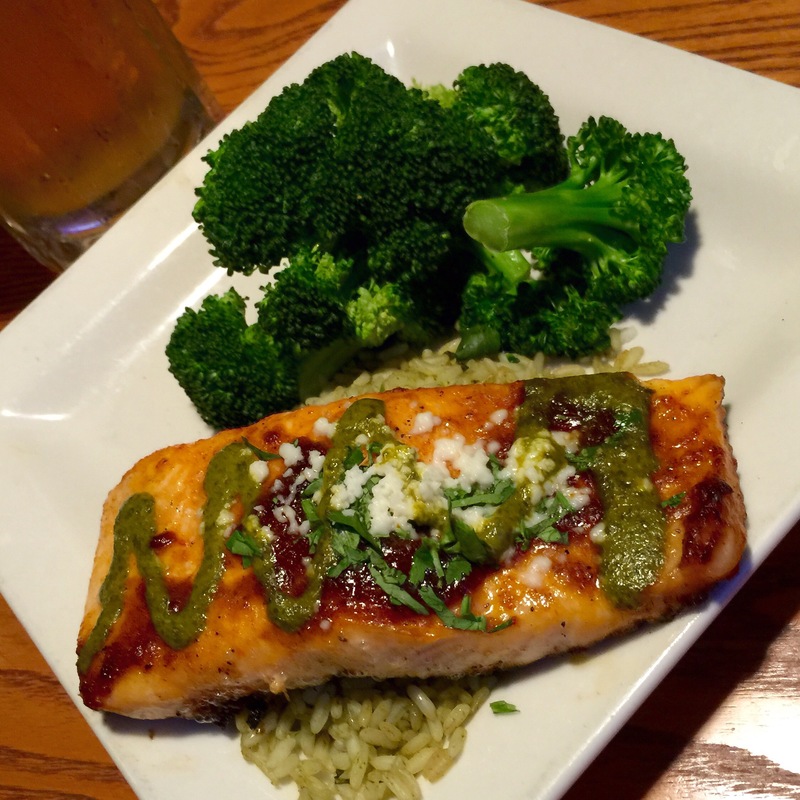 It’s seared, chile rubbed Atlantic salmon, drizzled with a spicy citrus-chile sauce, and topped with cilantro and quest fresco. Served with a tasty citrus chile rice and fresh steamed broccoli. Not necessarily a huge dish for the heavy eaters among us, but it satiated me well. We also had their fried cheddar cheese appetizer which was just excellent. 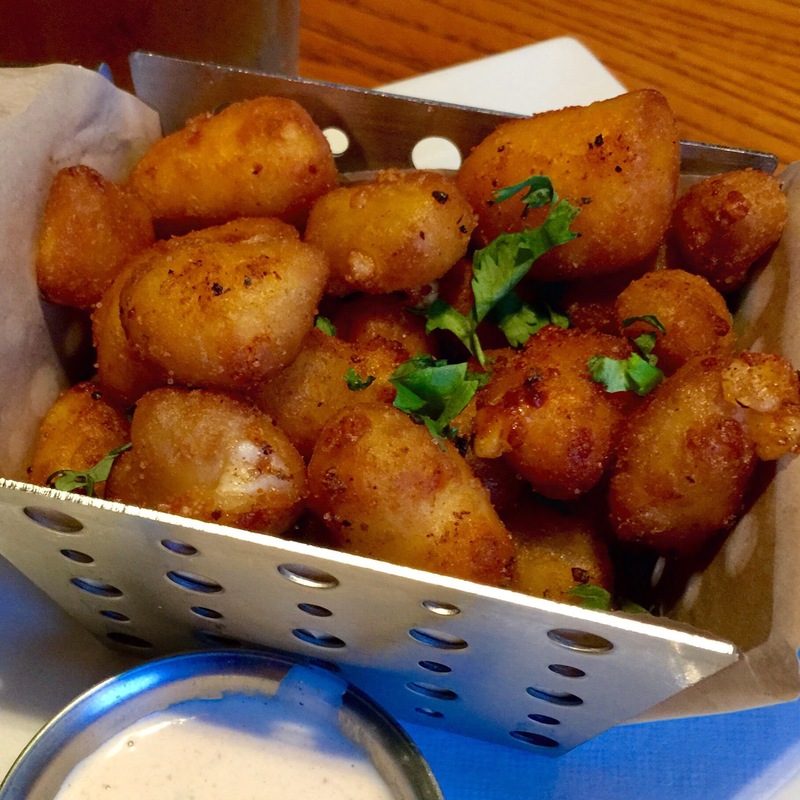 Not all fried cheese things are created equal, and Chili did a great job with this one! I posted from CTK a few weeks ago, but here’s a better shot of their shrimp Pad Thai. You can see how dried up and overcooked they got. So far the only good Thai shrimp that have been fresh and succulent is Thai Time in Ramona. Make no mistake, this is still a great place, I just don’t order anything with shrimp. They have a really good craft beer selection on draft. Not something you see everyday at a neighborhood Thai eatery. 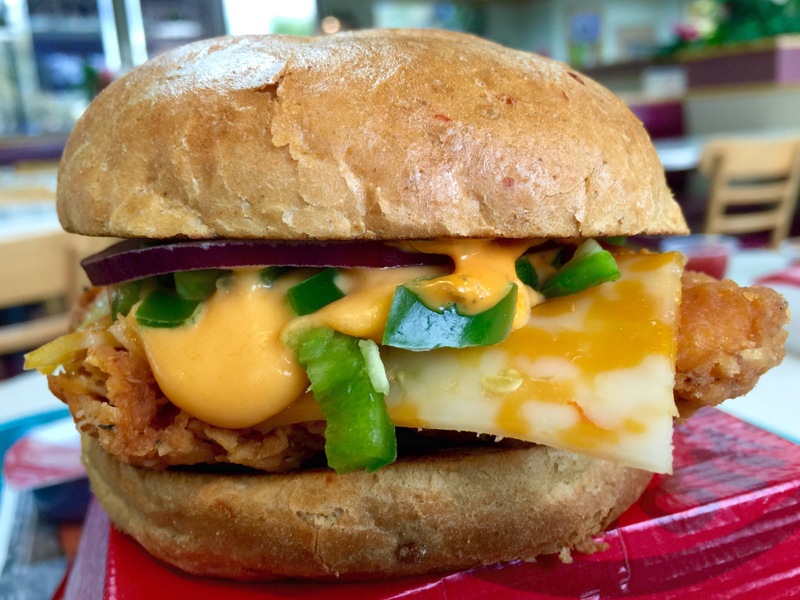 Fast food purveyors of late have been going all spicy and hot with their special sandwiches. Ghost pepper this, el diablo that, etc…I’m planning to try most of these and I started tonight with our own Ramona Wendy’s and the “Jalapeño Fresco Spicy Chicken”. For $5.49 (sammich only) it consists of a classic spicy (fried) chicken patty; colby pepper jack cheese; fresh jalapeño; ghost pepper sauce; all enveloped by a “red jalapeño bun”. I was anticipating intolerable heat, but it wasn’t really that overbearing. I only had to blow my nose twice. The so-called ghost pepper sauce seemed more like nacho squirt cheese. The chopped jalapeño was a nice touch. Overall it was a decent sandwich, but probably wouldn’t order it again. The bun could have been fresher. I’m thinking these flavors would pair better with a ground beef patty, so I’m looking forward to trying some of the spicy hamburger creations. Limited time only no doubt. From the archives… This was Cinco de Mayo 2015 at OTB. They always have great drink specials on such holidays. Also one of my favorite bar/happy hour menus. 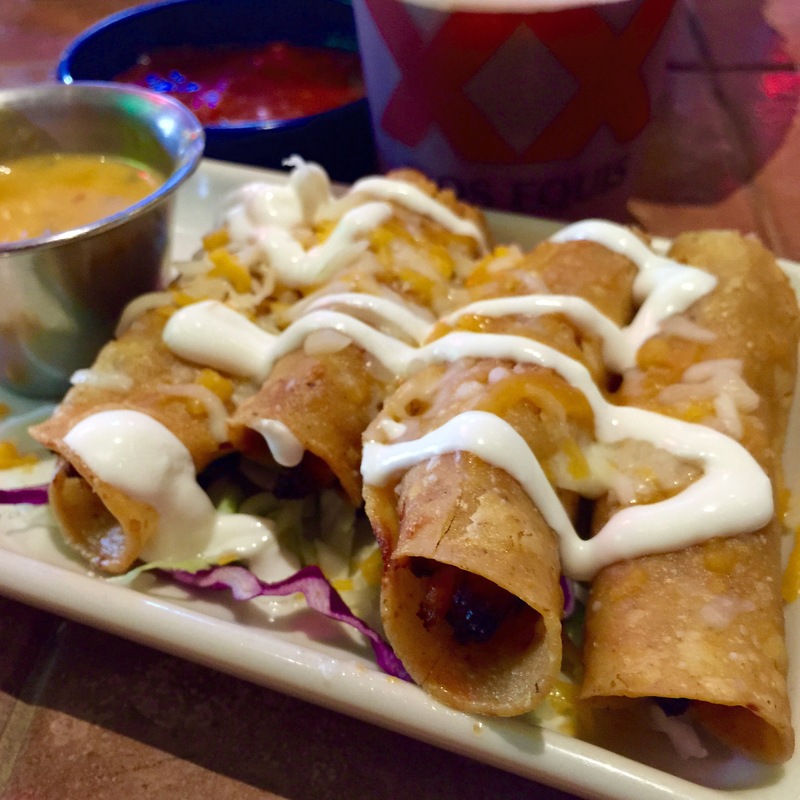 Love the flautas here. In fact that’s about all I order from these days is the appetizer menu. Don’t care too much for their combination plates since I don’t eat beans and their rice is terrible. Also not a fan of OTB chips. Way too big and too thin. One of my favorite “chain” pizzas is the Pan pizza from the Hut. Just a little bit greasy on the bottom with a nice crust. Here in our small town it’s pretty much either Dominos or Pizza Hut. Both are pretty good, but wish we had a Papa John’s and Round Table to even things out. Recently I tried the Steak Doubledilla at The Bell. Sadly it’s no longer on the menu because it’s one of the best things I’ve had here. I wasn’t sure quite how they pronounced it so it left me, and likely the cashier somewhat embarrassed. This bad boy was teeming with double the usual amount of lean steak. Chicken was also an option. Next time I’d recommend getting it double grilled to ensure the cheese is completely melted. One of the best things I’ve had here. Served with chips and a really tasty salsa for Taco Bell. 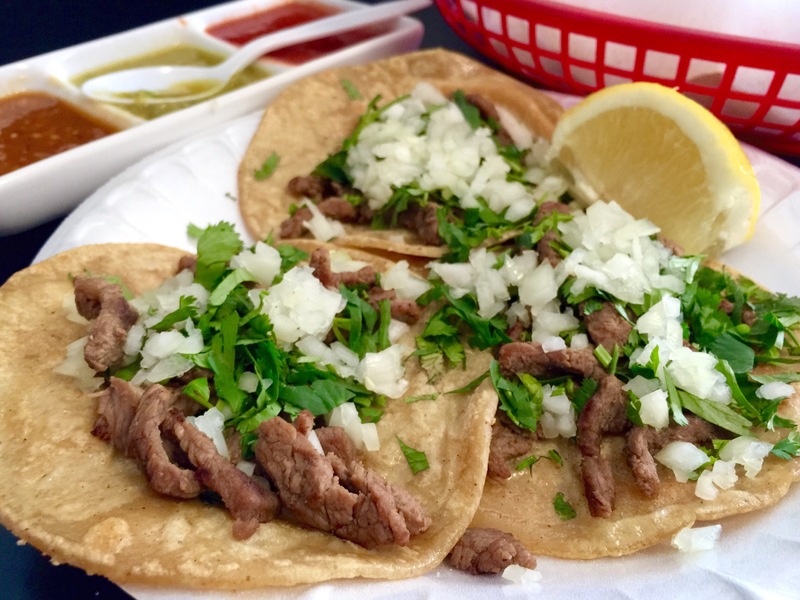 Still one of the better taco shops here in SoCal. 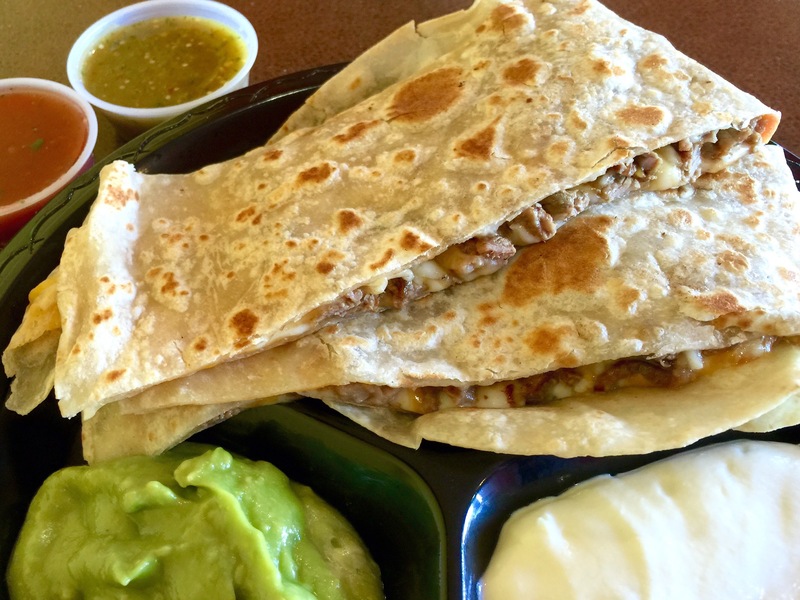 The carne asada quesadilla is on point. 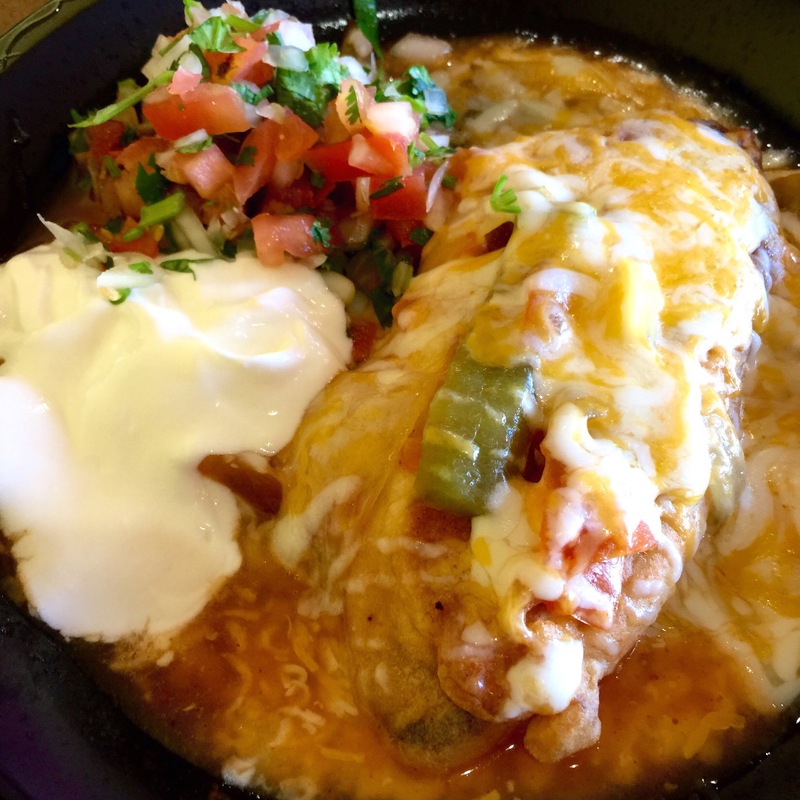 And the chile relleno is better than I’ve had in most sit down Mexican restaurants.